An electuary is a combination of powdered herbs stirred into honey or vegetable glycerin to form a pasty mass. It is particularly useful as a children's remedy. Place herbs into a jar and grind into a powder. Pour honey or vegetable glycerin into the mixture and blend to form a thick paste. Spoon into labeled jars. 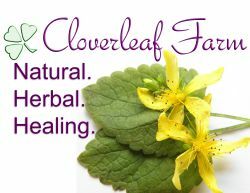 1 tablespoon each of red raspberry leaves, alfalfa leaves and flowers, lemon balm, chamomile flowers, rose hips, and anise seed. Blend herbs and add honey or glycerin. This will harden with age so make the paste just thick enough so it will not drop easily from a spoon. Store in an opaque covered container and dose by the teaspoonful. Sift together and combine with honey or glycerin to form a sticky paste. It will harden with age so make it just thick enough so that it will not drop from a spoon easily. Store in an opaque covered container. Sift together and combine with honey or glycerin to form a sticky paste. It will harden with age. Therefore, make it just thick enough so that it will not drop from a spoon easily. Store in an opaque covered container.